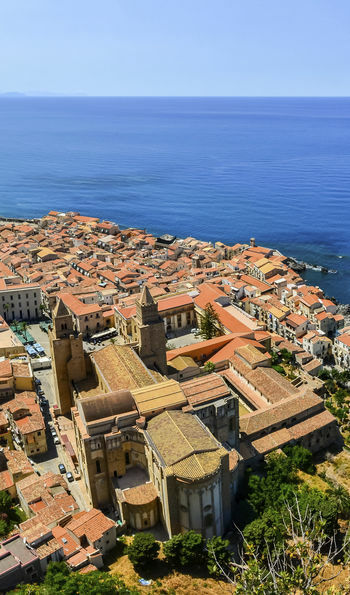 With a hire car on hand and a full seven days to explore, this luxury road trip takes in the very best of Sicily’s ancient cities, pristine coastline and vineyard-studded interior. 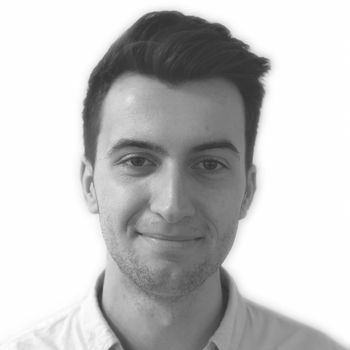 You’ll begin in the capital, Palermo, whose catalogue of ancient treasures – Arab, Gothic and Byzantine – once placed it at the very crossroads of civilisation. 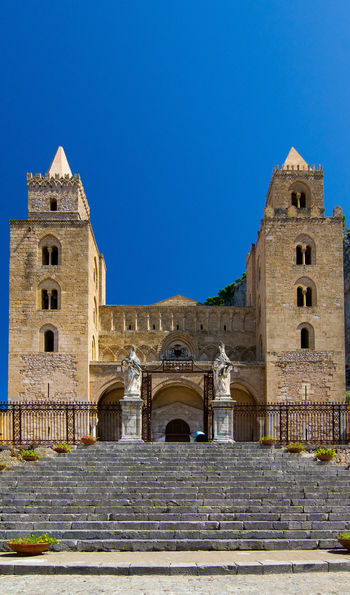 Then, heading through rolling countryside you’ll pause at Agrigento’s millennia-old Greek monuments before a stay in Cefalù pairs some of Italy’s best beaches with the medieval grandeur of its Arab-Norman architecture. Finally, arrive into Taormina where views of snow-dusted Mt Etna provide a fitting end to a remarkable journey. 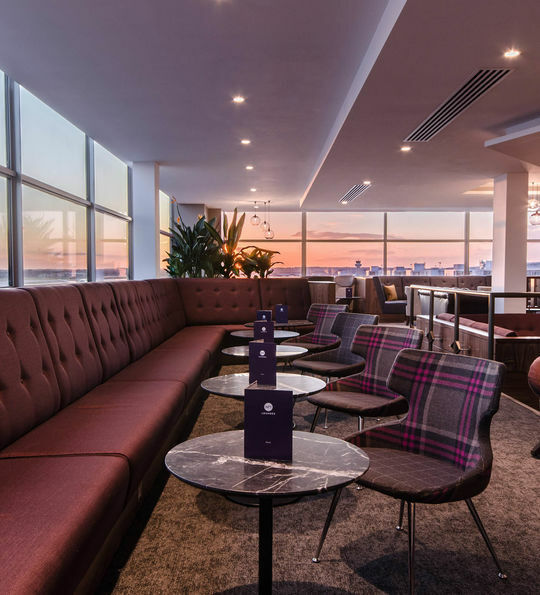 A complimentary chauffeur transfer will bring you in style to the airport where, after check in, you’ll relax in your included airport lounge. 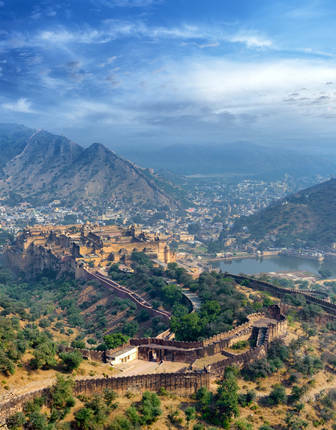 Then, feeling refreshed, you’ll fly to Palermo, a city whose intoxicating mix of Byzantine mosaics, Arabesque domes, baroque churches and Gothic palaces evidence its position at the very heart of the ancient world. On arrival, collect your hire car for the short drive to the marbled elegance of your 19th-century Art Nouveau hotel. 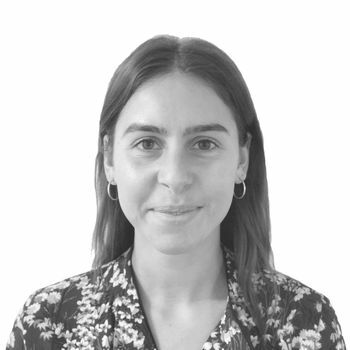 Driving south, you’ll have your first glimpse of Sicily’s verdant interior as flower-strewn meadows give way to sprawling vineyards and the occasional medieval village. 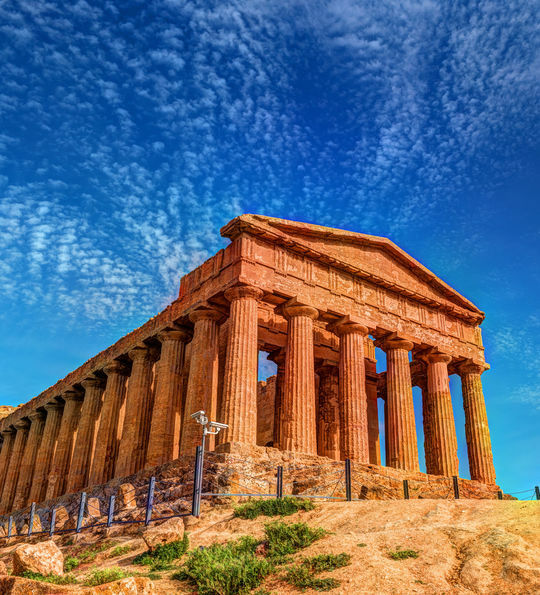 Then, wending your way along a precipitous coastline, you’ll arrive at your next hotel, an 18th-century villa whose indulgent spa and Michelin-standard restaurant are on the doorstep of Agrigento’s ancient Valley of the Temples. 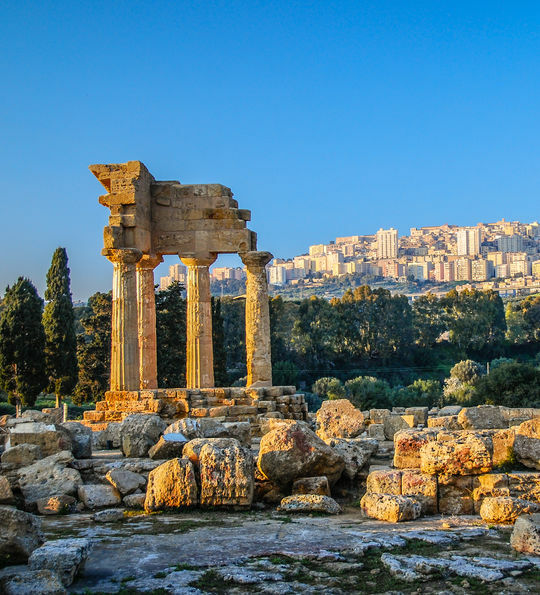 Spend the next day exploring the site whose Temple of Concordia – a 5th-century Doric masterpiece – is the star turn in series of seven pillared masterpieces strung along the adjacent ridge. 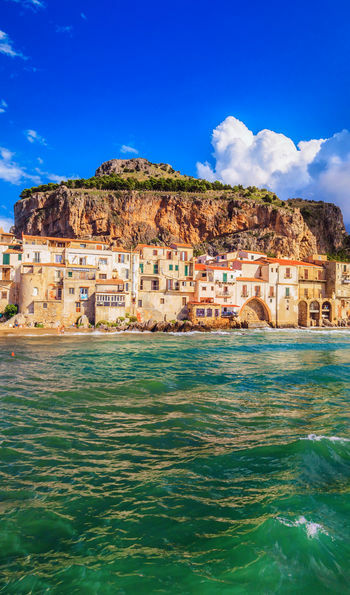 Drive north across the island to arrive in Cefalù on Sicily’s mountain-framed north coast. With pristine white sands and dazzling blue seas, it’s perhaps Sicly’s most idyllic coastal stretch, made all the more pleasurable by your hotel’s private beach. With two days here, there’s time aplenty to relax, but make sure to leave some free moments to explore, with the grandeur of the town’s 12th-century Norman cathedral among a litany of highlights. 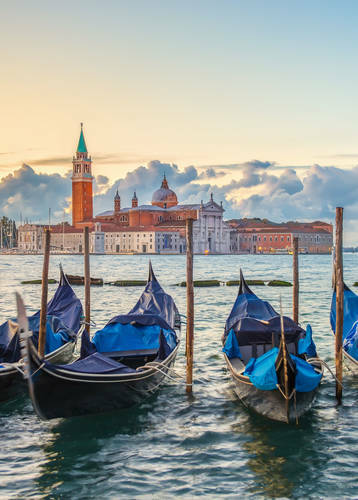 Take in its Byzantine mosaics and fortress-like towers before wandering along cobbled streets to find pretty piazzas lined with honey-hued houses and a seafront promenade where traditional restaurants sell freshly made pizzas and the catch of the day. 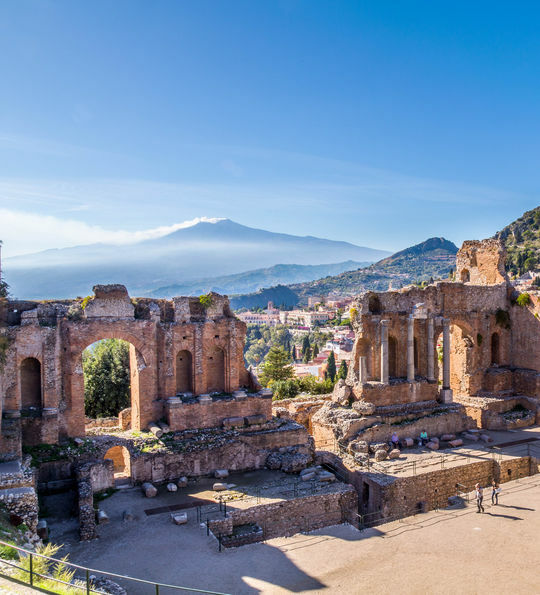 Driving past sandy bays and secluded coves, you’ll reach Taormina whose sweeping views of Mt Etna from its ancient Greek amphitheatre are perhaps Sicily’s most evocative. On arrival, you’ll check into your 19th century hotel – the Belmond Villa Sant’Andrea. With its secluded waterfront setting, private beach, spa and gorgeous infinity pool, it’s a truly indulgent place to end your island stay. And, between hours of sun-dappled relaxation and complimentary boat tours, Taormina’s Gothic palaces, English gardens and medieval fortress are just a cable-car ride away. Return your hire car to he airport for your flight home. One arrival, your chauffeur will be waiting to whisk you home in style. 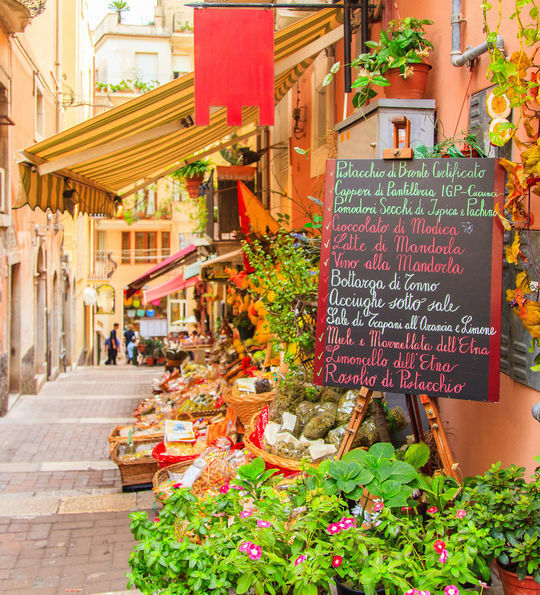 "I designed this itinerary to showcase the best of Sicily in just over a week. It's the perfect blend of culture and beautiful nature, including a stay on a private beach and commanding views of Mt Etna. Best of all, the accommodation I've picked balances Sicilian character with luxurious comfort."